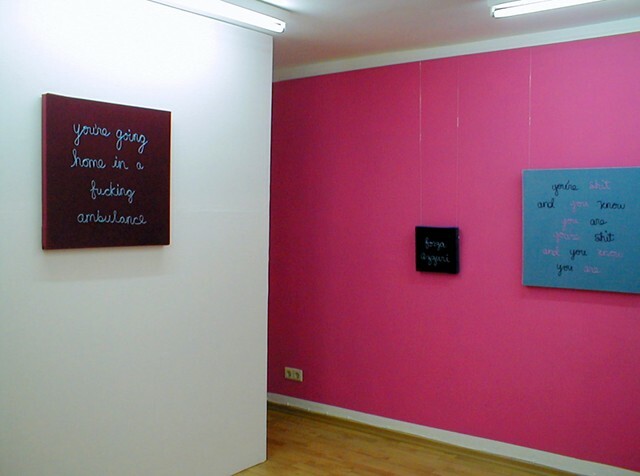 Football Chants Series (installation view), 2006. Galerie-33, Berlin. Published June 7, 2013 at 640 × 476 in Bead Works ~ Football Chants.